S.A.R.A. – (synesthetic augmented reality application) is an App exploring the potential of using a mobile device as a unique and wearable musical interface. S.A.R.A. was originally developed as a standalone App to translate the surrounding environment into sounds on mobile devices (iPhone and Android) creating a digitally augmented synesthetic experience. The imagery captured via the mobile device’s onboard camera is translated into synesthetic-inspired sounds. In its original development S.A.R.A. 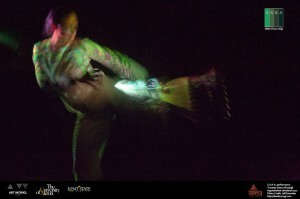 has been graciously supported with a 2012 National Endowment for the Arts – New Media Artworks Grant. 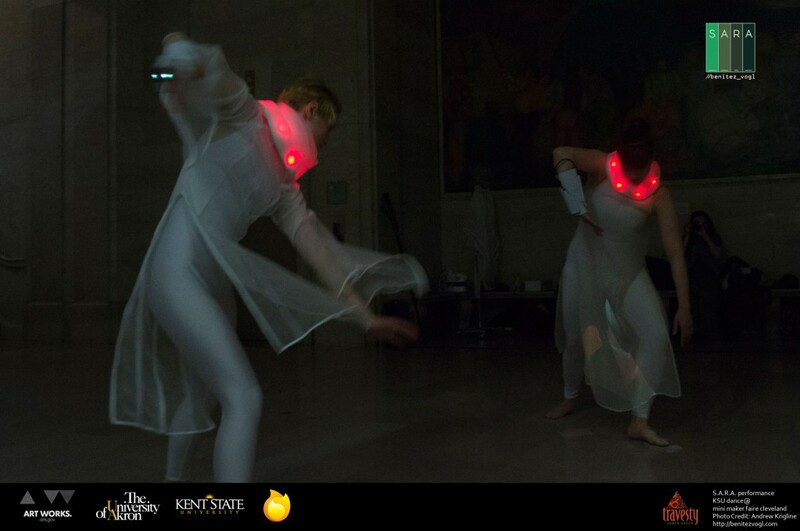 To demonstrate the capabilities the technology //benitez_vogl (Margarita Benitez Kent State University and Markus Vogl University of Akron) entered into a collaboration with Kimberly Karpanty (Kent State University) and her Travesty Dance Group in July 2012 to showcase the capabilities of the open source device. The choreography calls for several dancers wearing the app playing on a portable device in conjunction with a mini projector. 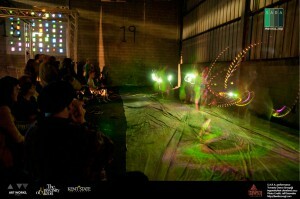 The App produces the video and the sound based on the camera input and the movement of the dancers. It investigates the use of wearable computing technology during performance as well as loosely bases it’s technological approach on ludological and synesthetic experiences to let the user explore it’s surrounding environments sonically. 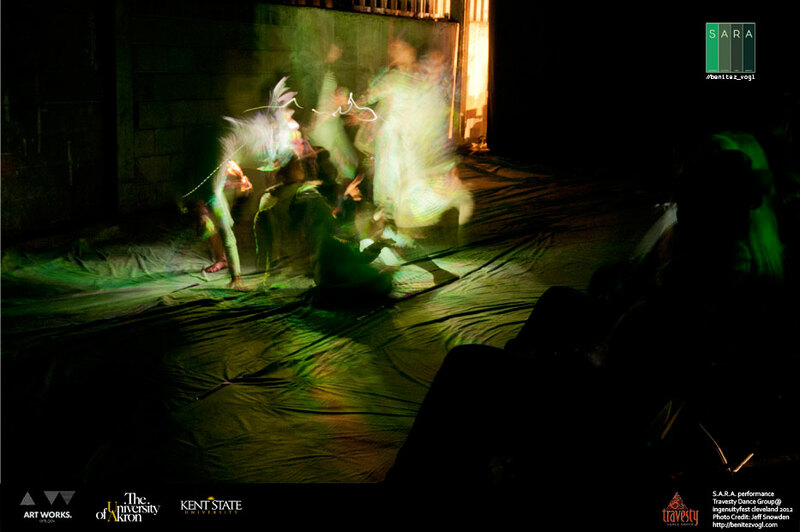 The role of the performer is also augmented as they are now gatekeepers of what sounds are made as well as what images are projected by deciding what live imagery and angles look most appealing to rebroadcast. 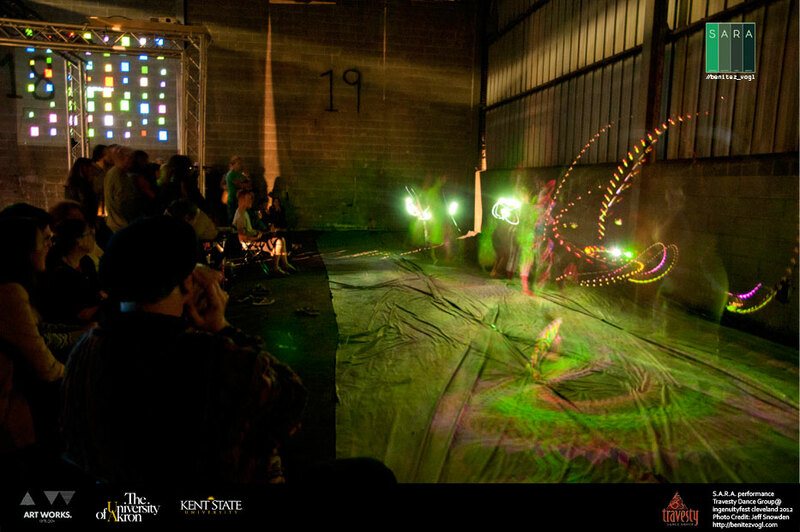 Performers can choose to project images on themselves, their co-performers or onto the architectural structures of the venue. 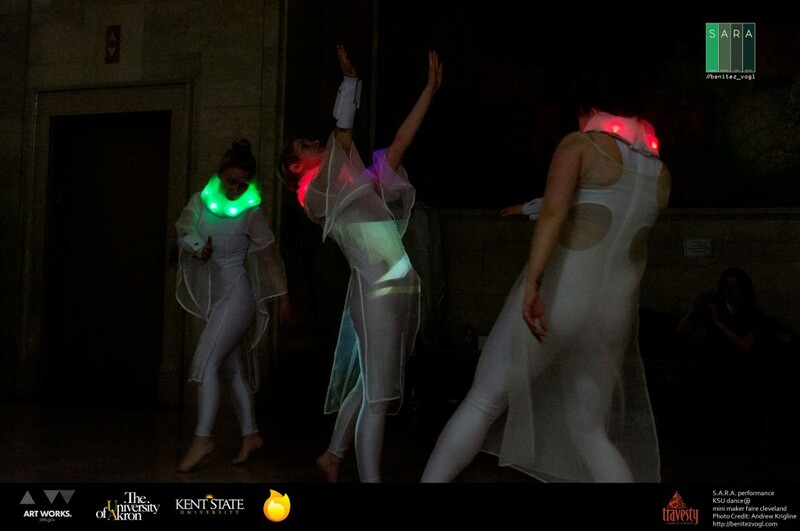 This format allows for a completely new interaction with wearable technology – augmenting and mediating their performance via several technological input and output mechanisms while still maintaining choreography as well as allowing for subjective choices during the performance. 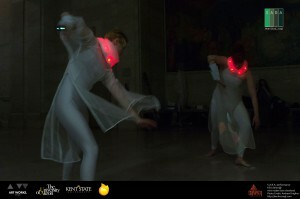 The Human Computer Interaction between the dancers and the technology as extension of their bodies creates an altered/mediated/mitigated performance environment that is always unique to the specific performance venue. S.A.R.A. is not only an interface and an interactive software application for consumption, play, discovery and joy but is a jump off point for a larger discussion on transformational strategies in regards to both S.A.R.A. 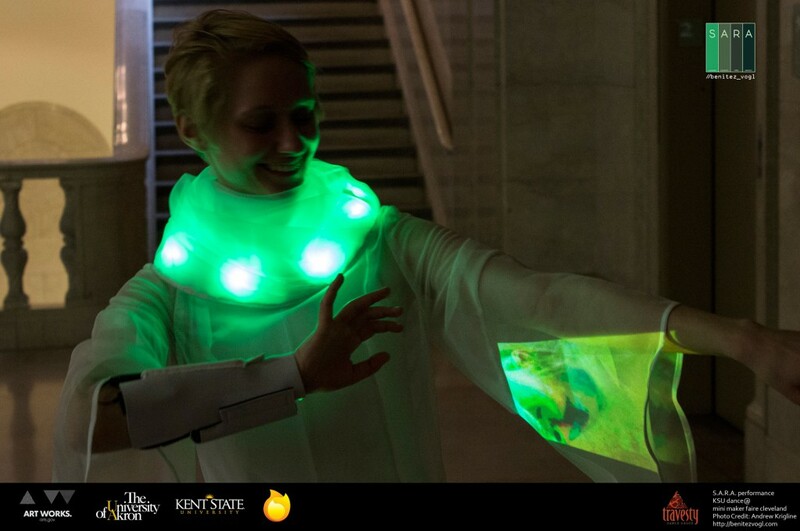 as a wearable musical/performance interface but additionally in the Open Source distribution of S.A.R.A. as a tool. The technology will be released open source and it is potentially possible to custom craft new versions for every performance or for other dance troupes to adapt the technology with their artistic vision. Creating the App for an existing platform device such as an ipod touch and utilizing a relatively inexpensive laser pico projector. The S.A.R.A. project has been graciously funded, with grants from the National Endowment for the Arts, a Buchtel College of Arts and Sciences Interdisciplinary grant of The University of Akron, an interdisciplinary College of The Arts grant at Kent State University and an ingenuitylabs grant by ingenuity Cleveland.